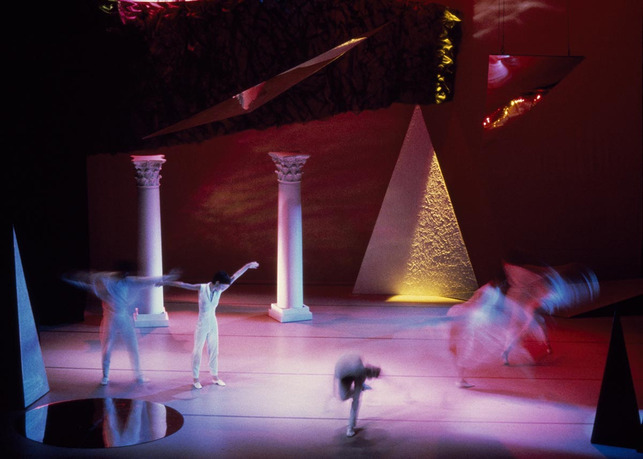 The Graham Foundation, in partnership with the 2015 Chicago Architecture Biennial, is pleased to present Barbara Kasten: Stages, the first major survey of the work of Chicago artist Barbara Kasten. 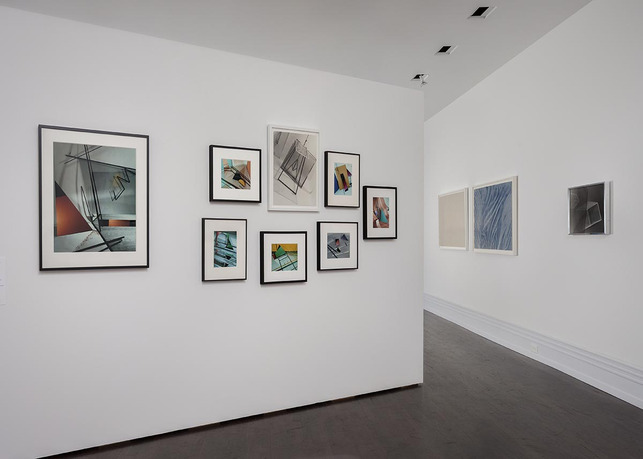 Organized in conversation with the artist and with full access to her extensive archive, the exhibition will include works spanning her nearly five-decade engagement with abstraction, light, and architectural form. 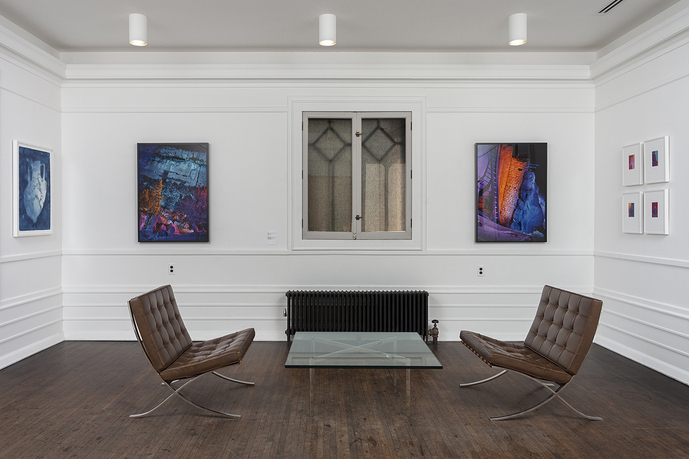 Since the 1970s Kasten has developed her expansive photographic practice through the lens of many different disciplines, including sculpture, painting, theater, textile, architecture, and installation. 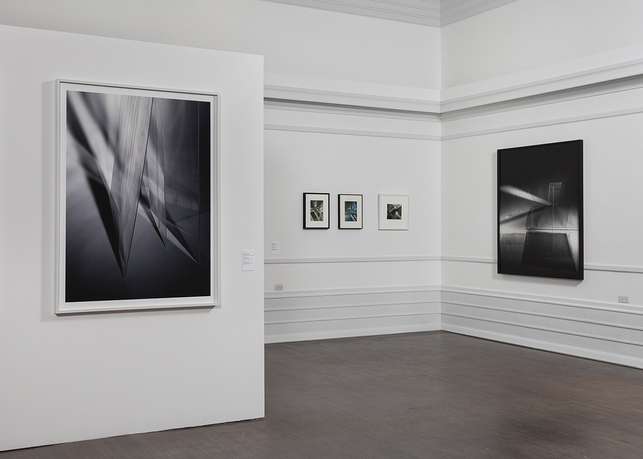 Well known within photographic discourse, more recently she has begun to be reconsidered within the broader contexts of architectural theory and contemporary art. 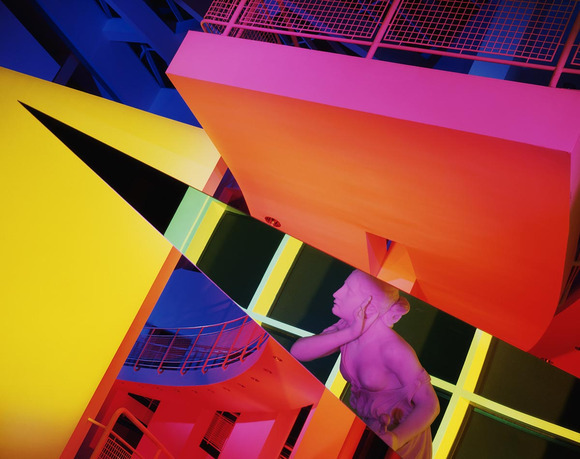 Barbara Kasten: Stages is organized by the Institute of Contemporary Art, University of Pennsylvania and is curated by ICA Curator Alex Klein. 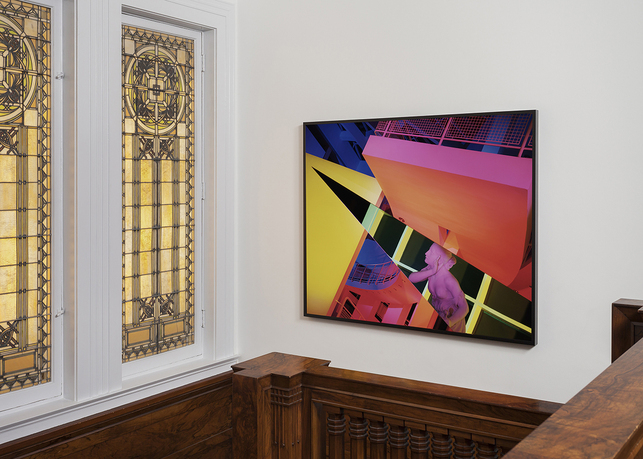 Barbara Kasten: Stages is accompanied by a fully illustrated catalogue co-published by the Institute of Contemporary Art and JRP|Ringier that includes a biography of the artist, a conversation between Kasten and artist Liz Deschenes, and new scholarly essays by Alex Klein, Jenni Sorkin, and Alex Kitnick. Copies of the exhibition catalogue are available for purchase in the Graham Foundation Bookshop. 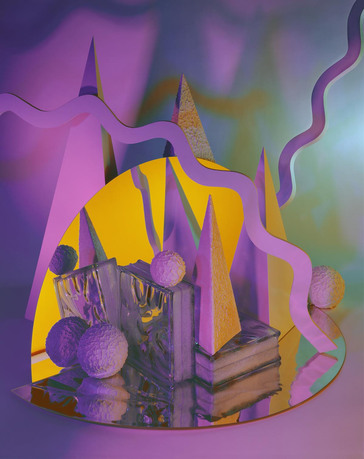 Additionally, the Graham Foundation and Distributed Art Publishers will co-publish Barbara Kasten: The Diazotypes, a special small-run artist book of Kasten’s diazotypes–a body of work she created while living in California in 1973 with a process used to create architectural blueprints. This unique artist’s book will be released at the exhibition opening on October 1, 2015, and will be available for purchase at the Graham Foundation Bookshop. Each copy will be signed and numbered by Kasten. 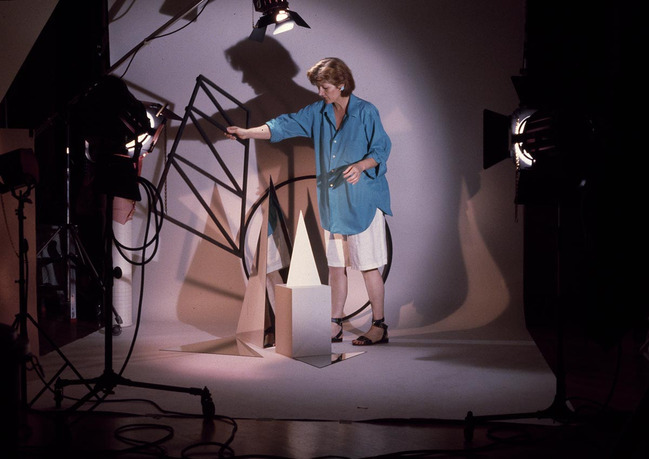 Barbara Kasten (born 1936, Chicago; lives Chicago) trained as a painter and textile artist, receiving her MFA from the California College of Arts and Crafts (CCAC) in Oakland in 1970. 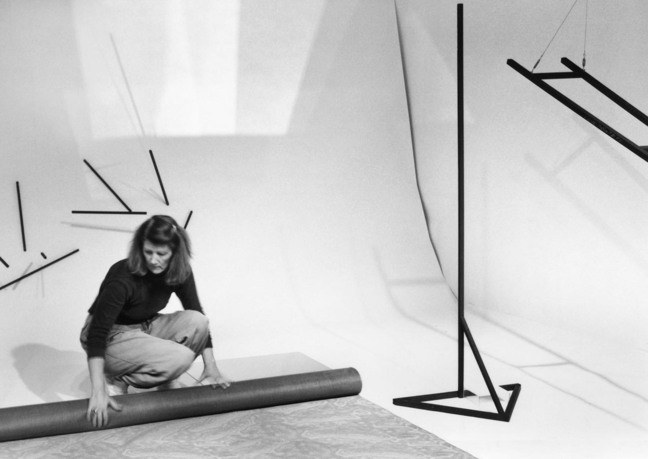 There she studied with pioneering fiber artist Trude Guermonprez, a former teacher at Black Mountain College and an associate of Anni Albers. 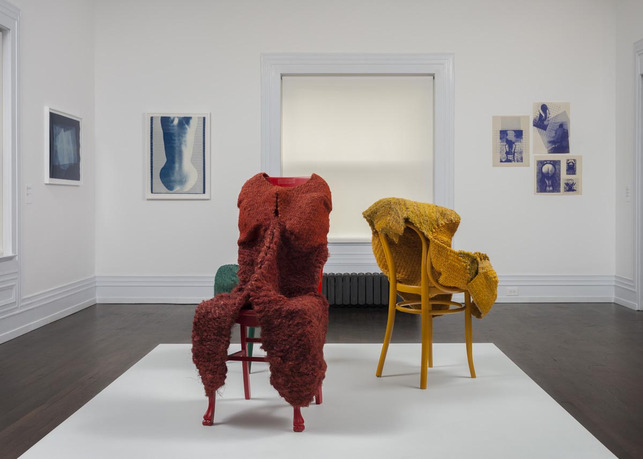 In 1971 Kasten received a Fulbright to travel to Poznań, Poland, to work with noted sculptor Magdalena Abakanowicz. 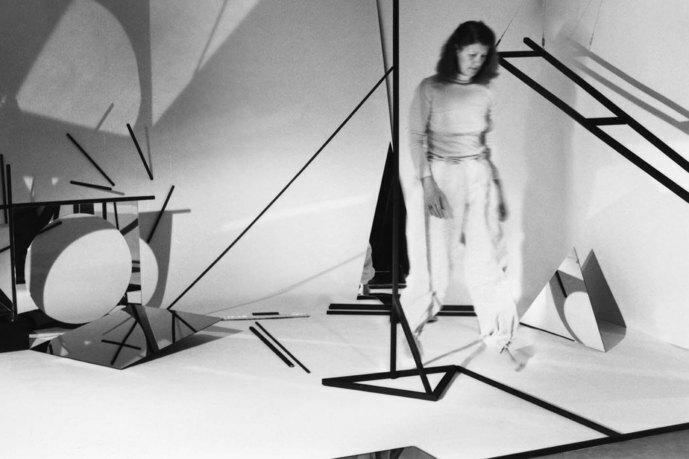 During the 1980s she embarked on her Constructs series, which incorporates life-size elements such as metal, wire, mesh, and mirrors into installations produced specifically for the camera. 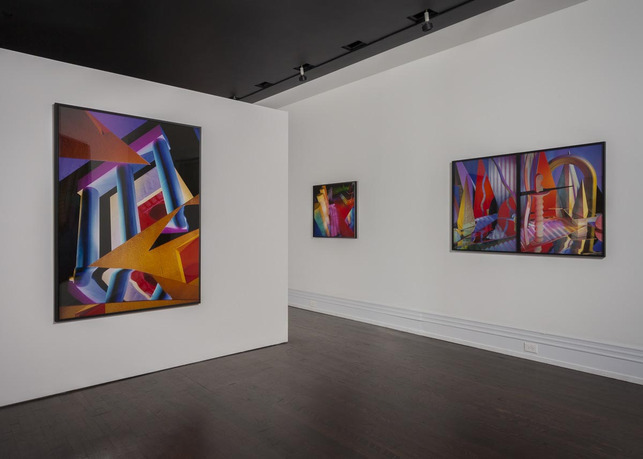 Kasten was one of the first artists to be invited by Polaroid to use its new large format cameras, and it was with these that she made many of her best known works, her palette becoming bolder in response to the lush, saturated quality of the medium. 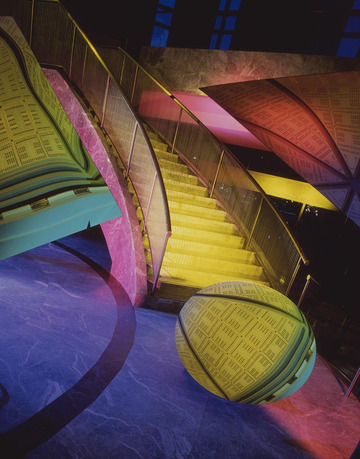 In the mid-1980s Kasten stepped out of the studio and began working with large architectural spaces. Institutions such as the High Museum of Art in Atlanta designed by Richard Meier and the Museum of Contemporary Art in Los Angeles designed by Arata Isozaki, as well as the World Financial Center in New York designed by César Pelli, were eager to showcase their new postmodern buildings via the cinematic lighting, mirrors, and fabrications that were part of her monumental productions. Following her architectural projects she continued working on a large scale, creating dramatic displays in the midst of ancient ruins. 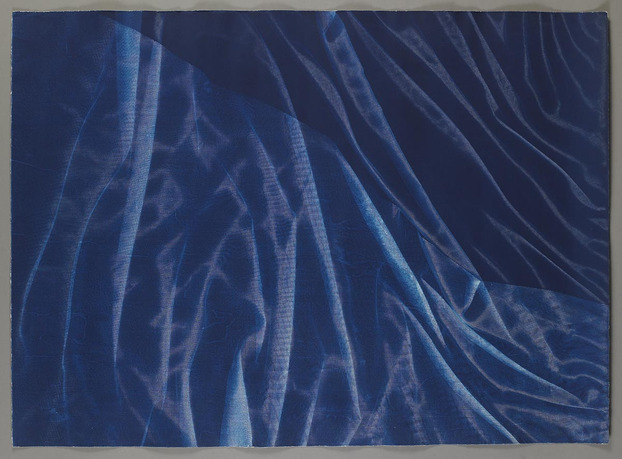 In the intervening years she shifted her focus to talismanic objects and artifacts, returning to the cyanotype process she had embraced at the beginning of her career. 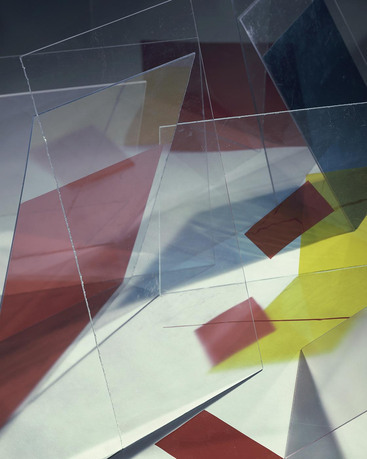 Her most recent work has taken Kasten back to the studio, exploring a more minimal palette with many of the same materials that shaped her early constructed photographs. 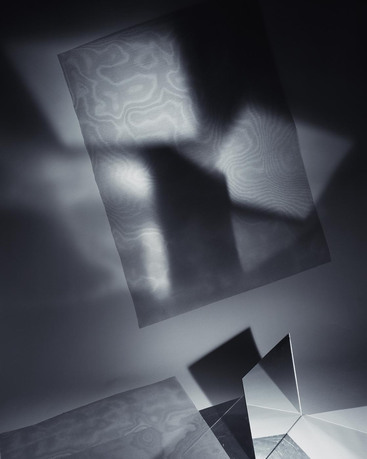 Over the years her vocabulary and interests, including her ongoing experimentation with constructions, sets, and installations at the human scale, have provided a through-line and given a unity to her artwork, even as she has experimented with multiple processes, from cyanotypes and Polaroids to Cibachromes and video installations. 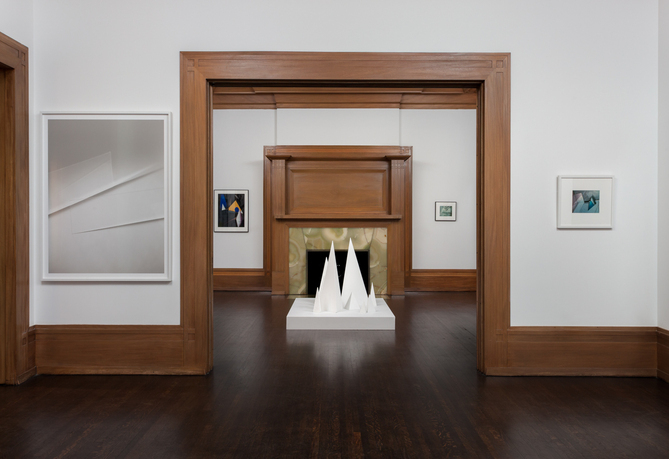 Kasten’s photographs of studio constructions and cinematic stagings are included in major museum collections such as the Museum of Modern Art in New York, the Whitney Museum of American Art in New York, the Museum of Contemporary Art in Chicago, and the Los Angeles County Museum of Art. 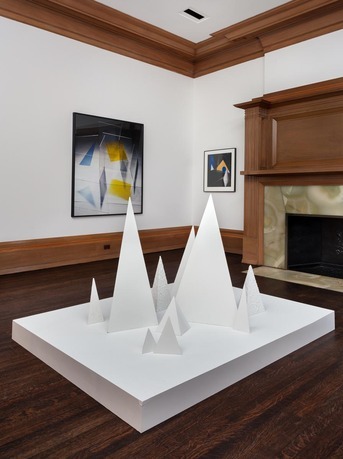 Alex Klein is the Dorothy and Stephen R. Weber (CHE’60) Curator at the Institute of Contemporary Art, University of Pennsylvania. 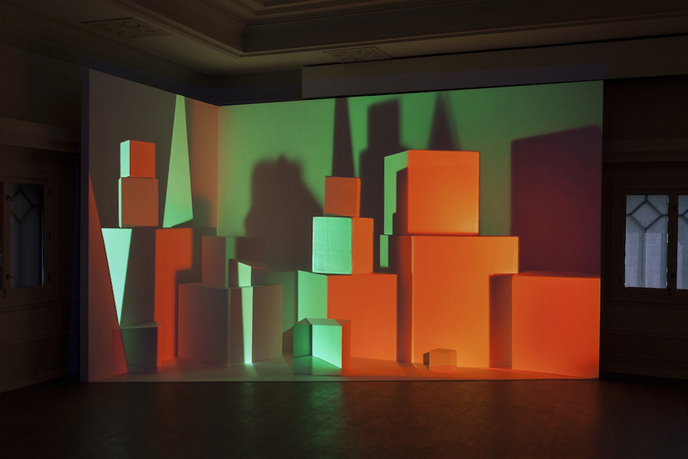 Selected exhibitions and initiatives at ICA include Barbara Kasten: Stages (2015), the first major survey of the artist's work; Consider the Belvedere: Tamara Henderson and Julia Feyrer (2015); AVANT-GARDEner: Ian Hamilton Finlay (2014, co-curated with Lynne Farrington); Vishal Jugdeo: An Education in the Logic of Leaves (2014); Excursus I-IV featuring Reference Library, East of Borneo, Ooga Booga, and Primary Information (2011­–2013); and First Among Equals (2012, co-curated with Kate Kraczon). 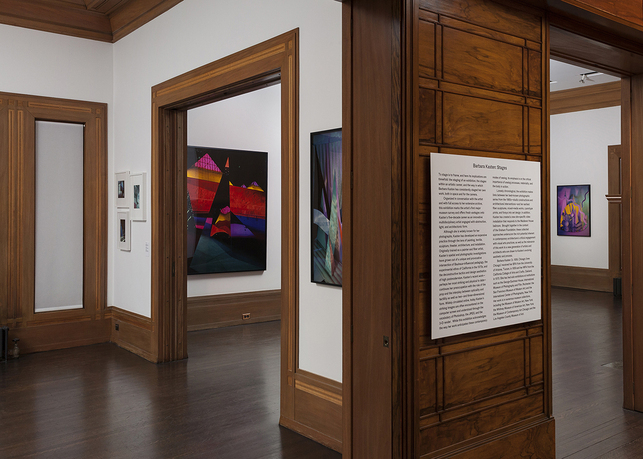 Most recently she has served as an agent in the Carnegie Museum of Art's Hillman Photography Initiative where she co-curated with Tina Kukielski the exhibition Antoine Catala: Distant Feel (2015) in association with the New Museum Triennial, Surround Audience. Her writing has been published in collections including How Soon Is Now? (LUMA, 2012) and The Human Snapshot (Sternberg Press / CCS Bard, 2013), and she is the editor of the critical volume on photography, Words Without Pictures (LACMA/Aperture, 2010). 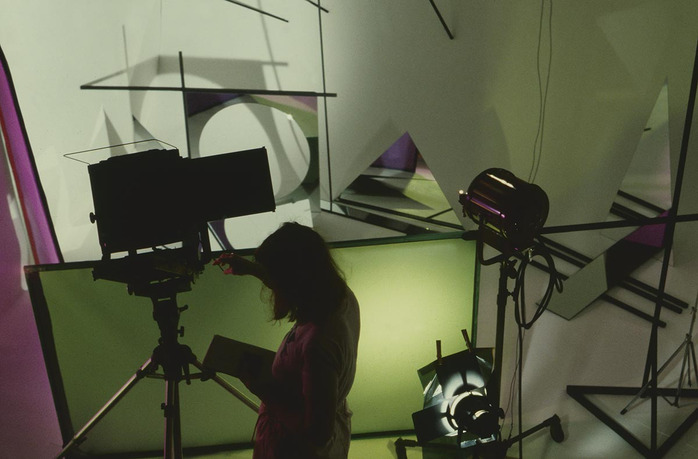 Previously she held positions in the Wallis Annenberg Photography Department at the Los Angeles County Museum of Art, the Roski School of Fine Arts at the University of Southern California, and The Metropolitan Museum of Art. She is the co-founder of the editorial project and publishing imprint Oslo Editions. 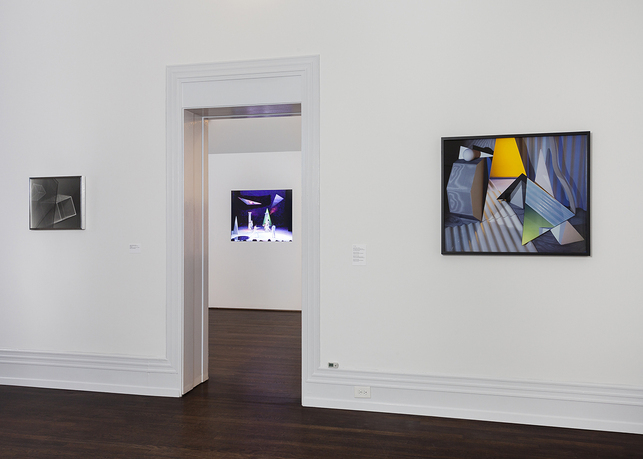 Major support for Barbara Kasten: Stages has been provided by The Pew Center for Arts & Heritage, with additional support from the Nancy E. and Leonard M. Amoroso Exhibition Fund, Pamela Toub Berkman & David J. Berkman, Bortolami, the Carol T. & John G. Finley Fund, Kadel Willborn Gallery, the Marjorie E. and Michael J. Levine Fund, Toby Devan Lewis, Amanda & Andrew Megibow, Stephanie B. & David E. Simon, Babette L. & Harvey A. Snyder, and Meredith L. & Bryan S.Verona. 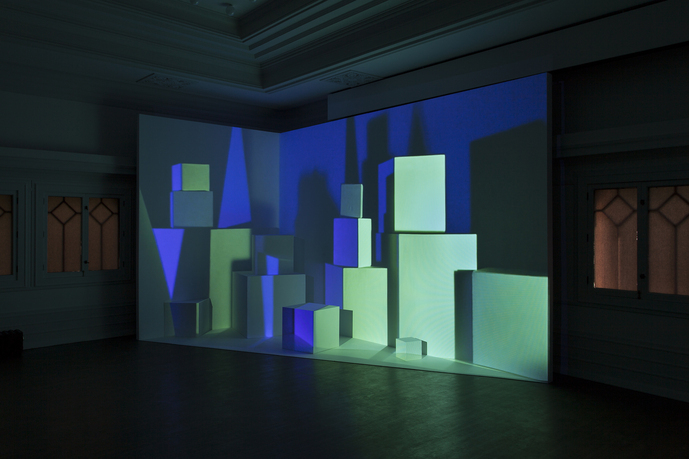 The Chicago presentation is supported by the Graham Foundation for Advanced Studies in the Fine Arts. 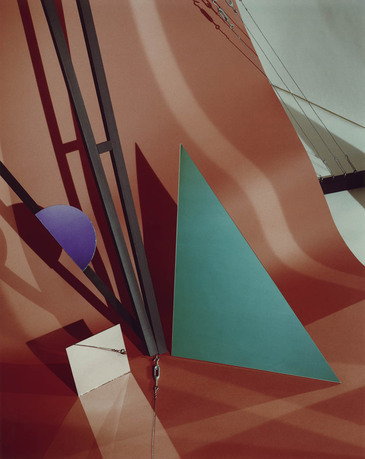 10/22/2015: Use Your Illusion: Barbara Kasten's "Architectural Sites"
Barbara Kasten, "Construct VIII", 1982. Polaroid. 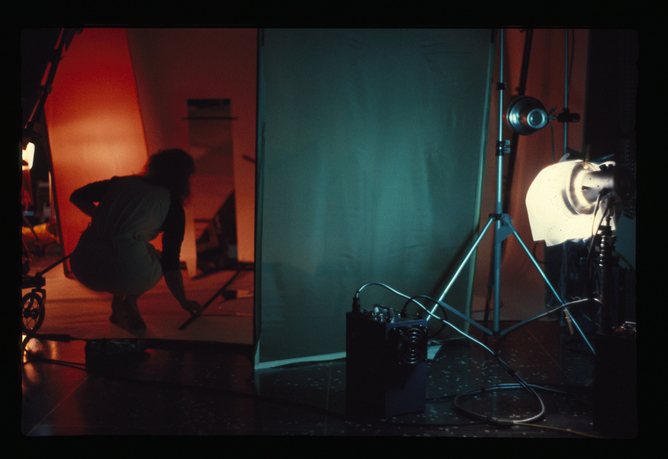 Courtesy of the artist; Photo-documentation of Barbara Kasten installing the exhibition "Centric 2: Barbara Kasten, Installation/Photographs", University Art Museum, California State University Long Beach, 1982. Courtesy of the artist and the University Art Museum, California State University Long Beach.